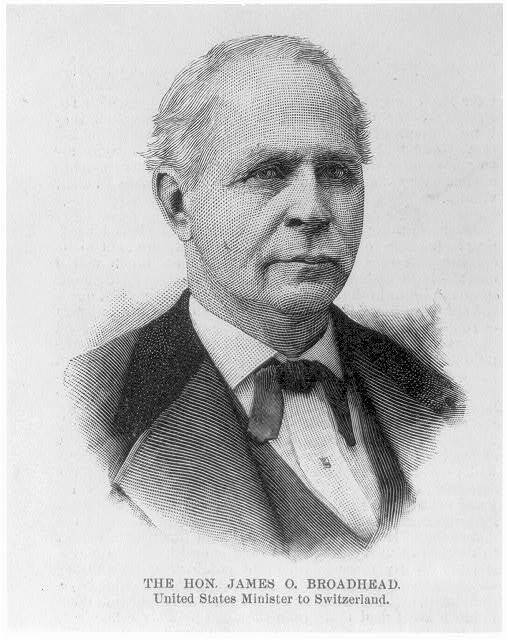 James Overton Broadhead, UVA alumnus and Missouri Unionist during the Civil War (courtesy Library of Congress). Matthew Kelly, staff writer at UVAToday, recently published an article about our latest digital project at the Nau Center, UVA Unionists. Kelly’s article is a nice companion piece to a similar one he wrote about our other major research endeavor, Black Virginians in Blue, last October. UVA Unionists is our effort to identify UVA students who fought for the Union. So far we have found nearly sixty students and one professor who, unlike the majority of their peers, remained loyal to the United States during its civil war. Our search, led in large part by graduate student Brian Neumann and undergraduate Jane Diamond, has also uncovered hundreds of students who were not previously identified as Confederate soldiers or sailors. Taken together, our UVA Unionists and Black Virginians in Blue projects will tell a much more diverse story about the Civil War at UVA or in Albemarle County than has ever been told before. Funding for the project has been generously provided by the Jefferson Trust, a program of the University of Virginia Alumni Association. Technical assistance has been provided by Worthy Martin’s Institute for Advanced Technology in the Humanities (IATH) at UVA.